Previous post: Keen to use your communication skills? To celebrate the Chinese New Year we would like to share details of some forthcoming career events with you for both Chinese students in the UK and Chinese alumni returning home to China. Organisations attending to date include: The China Britain Business Council, MIDAS, Mandarin Consultant, Manchester City Council, Aughton Ainsworth, AMR International, The Chinese Students Scholars Association, Manchester International College. 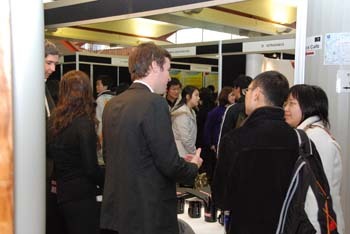 The Cultural and Education Section of the British Embassy/Consulate-General in China (aka The British Council), provides a range of support services to UK alumni (Chinese students/graduates who have studied or are studying in the UK) in China. 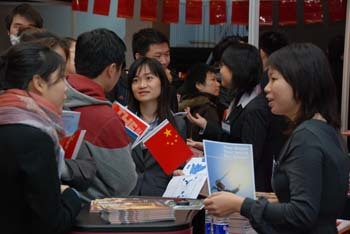 As a kick-off event to a series of career development activities in 2013, they will run ‘Career Development Workshops and Job Fairs’ in Beijing, Shanghai, Guangzhou and Chengdu in March. These workshops aim to help UK alumni to better understand the job market in China and support them in their job hunting. Recruitment fairs will also be held in conjunction and participating organisations are listed on the sites below. If you would like to participate you will need to register for the event in advance at www.alumniuk.org.cn. Unless registered, students will not be permitted to take part.